They call it a fill in, but it actually started a long, well-reviewed run. And you have to love those Marvel credits. DC didn’t give their artists and writers credit–Marvel did. And here’s another interesting piece of trivia: This book came out in 1966, but Irving Forbush wasn’t seen until 1967 in Not Brand Eccch! #1. 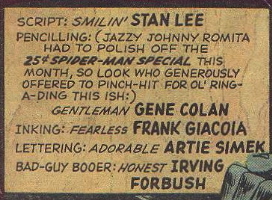 Forbush had appeared in the mid-1950s in Snafu Magazine as Stan Lee’s answer to Alfred E. Neuman, but we saw his whole face and he wasn’t anything like the character he’d become in 1967. In fact, he died with the Snafu Magazine. Then, in the 1960s, Lee started writing about him (according to wikipedia) in his letter columns and editorials called Bullpen Bulletins. So the mention of the character above in the credits might well be the first time he was listed as an actual member of the bullpen. Of course, much much later he’d be the big bad guy in Warren Ellis’ brilliant “Nextwave: Agents of Hate” comic. One of the greatest non-canon Marvel comics of all time. Hell, it’s just one of the greatest period. I am reading this great biography of Gene Colan that pointed out that just about every Marvel artist in the early/mid 1960s was required to draw “The Marvel Way” by inking over Jack Kirby for a few issues before being allowed do their own pencils. That includes titans of the industry like John Buscema and John Romita, who Gene replaced on Daredevil with issue #20. 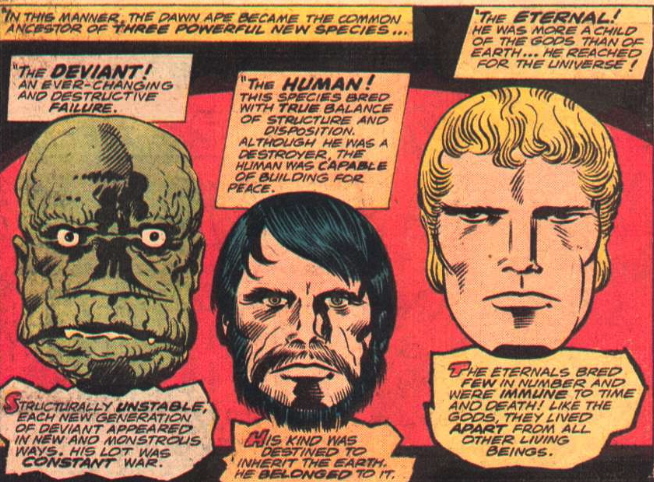 Gene Colan refused to draw the Marvel (i.e., Kirby) way. The book also astutely pointed out how distinctive Colan’s early DD work was–and how influential. I liked Romita, I really liked Wally Wood. I think both of these artists, along with Stan Lee, created something with Daredevil that hadn’t existed before: A dark Marvel superhero comic. 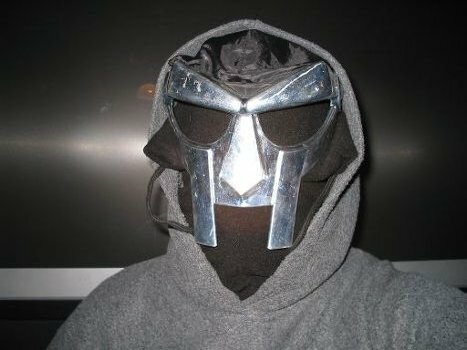 Granted, darkness is relative: DD wasn’t nearly as tragic in the 1960s as he became in the late 1970s and early 1980s under Frank Miller, Klaus Janson, etc. But for his time, he was dark. Batman had a tragic element to him, but he generally was seen drinking milk and smiling. DD felt more mature (as all Marvel comics did at the time). 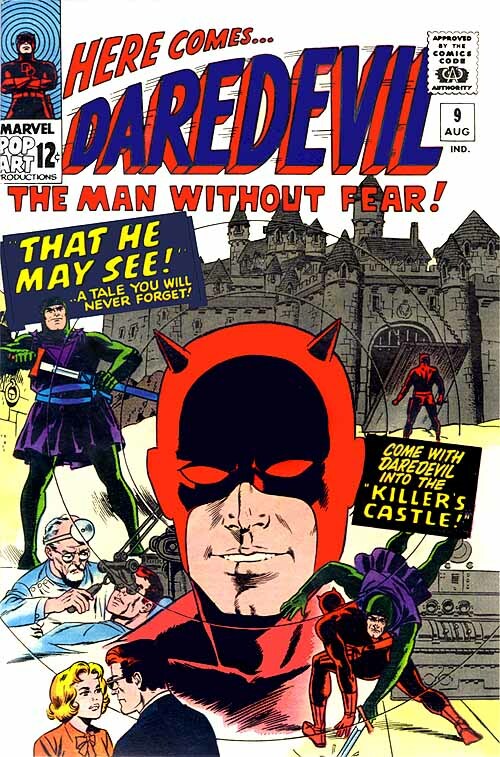 Anyway, Wood and Romita did their part, but Colan really made Daredevil more “devil-ish.” Look at his use of shadows, and the movement of his costume horns away from the sides of his head–where they looked more like Batman cowl ears, and towards the forehead–like real horns. Same thing with the eyes. It’s a subtle change, but it’s an important one. 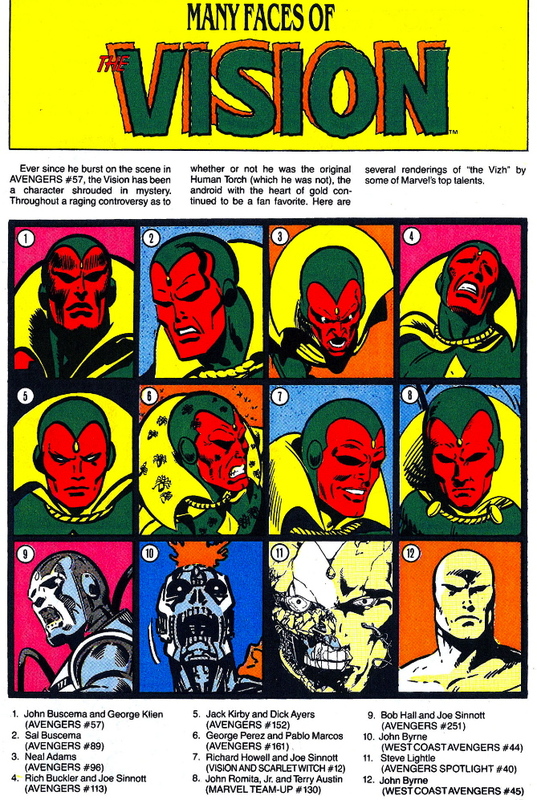 In 1985, writer Steve Englehart–known for weirdness–and artist Richard Howell teamed up on what Marvel then called a “Maxi-Series.” Twelve issues of the duo, off on their own. 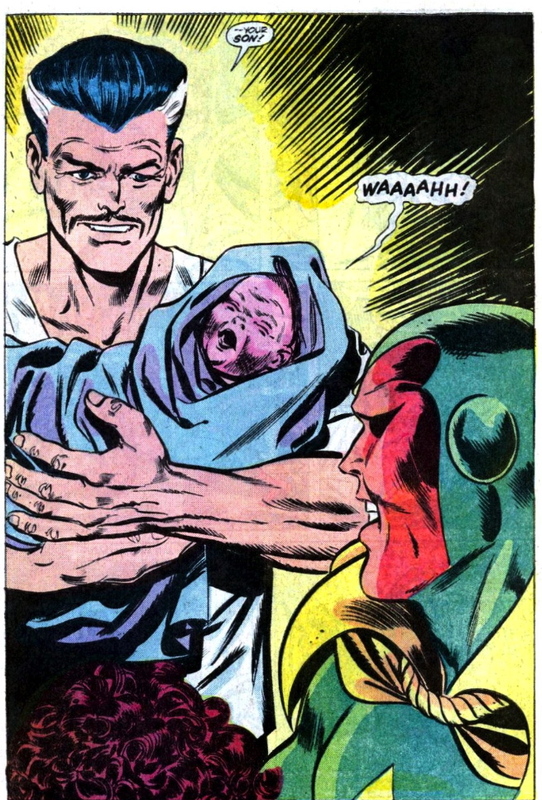 In issue #3, knowing that the synthezoid Vision was unable to create sperm, Wanda used magic, with the help of good old Agatha Harkness. 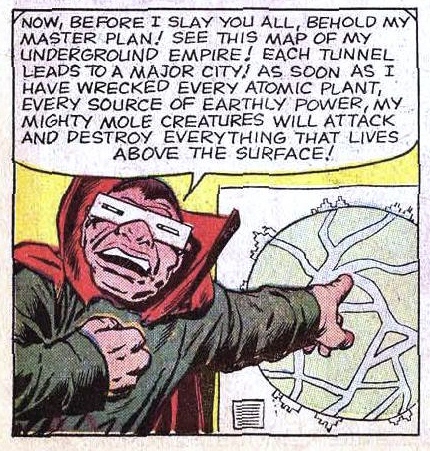 (Remember, Agatha taught Wanda how to use her magic powers way back in Avengers #128 (also written by Englehart). Of course, magic babies never end well. 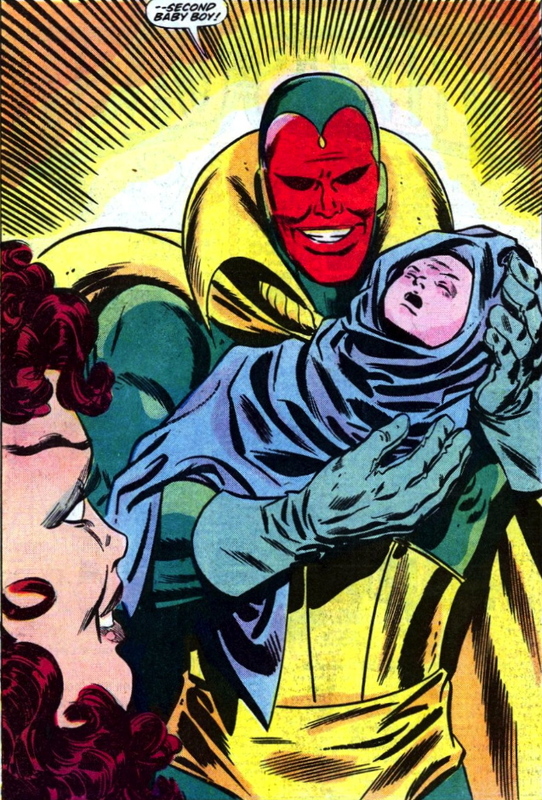 But before disaster struck, Vision was the proud daddy of not one but two hex-children….Delivered by Doctor Strange. It ended tragically, of course. In the pages of West Coast Avengers, Agatha told Wanda that the children–Tommy and Billy–were unnatural children of magic and didn’t exist when Wanda wasn’t around. An extremely cool symbolic parent-role. Anyway, Wanda went to join her teammates in a battle against Master Pandemonium, and in her absence MP killed them and absorbed all of Wanda’s memories about the children. 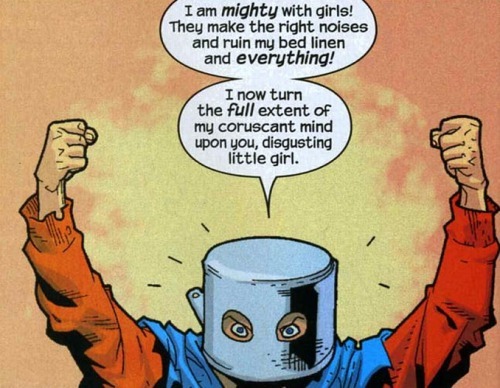 Now, you know what you need to know to read Avengers #500. 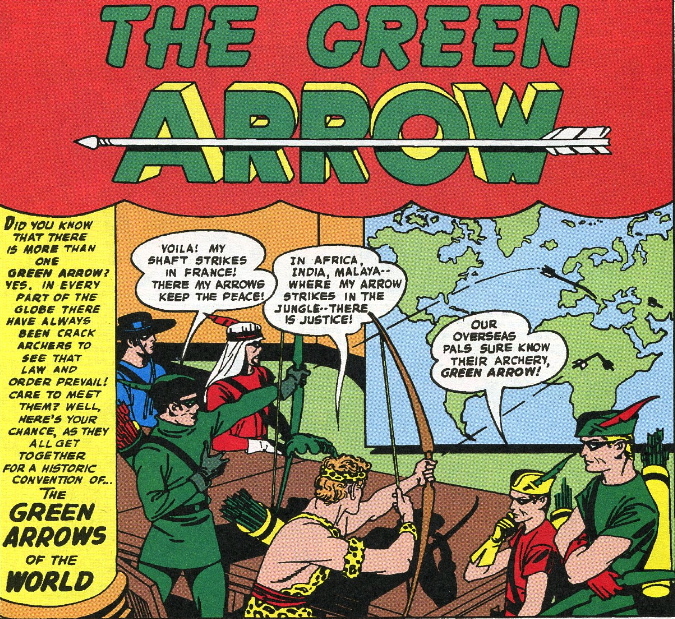 GREEN ARROW DID BATMAN INC. FIRST?!? Looks an awful lot like it. April 28, 2013 ekko1 Comments Off on GREEN ARROW DID BATMAN INC. FIRST?!? 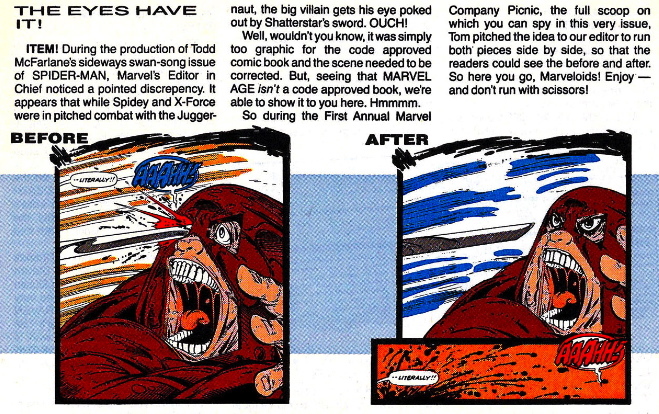 From Marvel Age #107 (1991). 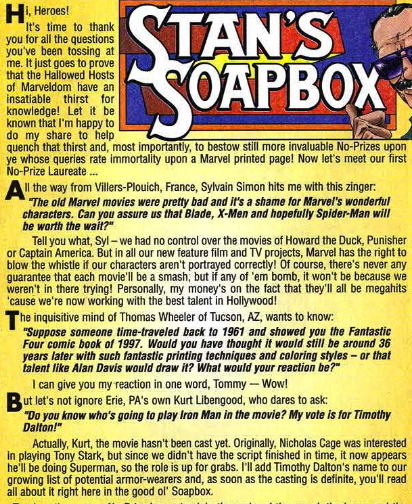 Old Stan Lee soapbox about Marvel’s movie projects, distancing the company from suckie Howard the Duck, Punisher (Dolph version), and Captain America flicks. Check out this Soapbox column from 1998. Very interesting. 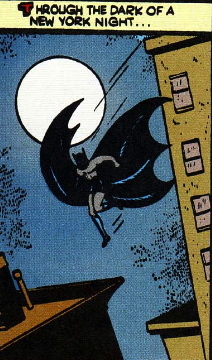 Not a lot of folks realize that Bob Kane’s early renditions placed the caped crusader in NYC.